A new international study released today [18 May] finds significant economic benefits for wealthy EU countries that accept refugees. But one of the weaknesses of the report appears to be that it does not analyse the case in poorer EU countries in central and eastern Europe. Refugees have a lot to contribute as workers, entrepreneurs, innovators, taxpayers, consumers and investors, the 77-page report by the Tent Foundation and Open Political Economy Network (OPEN) finds. According to the report’s author, Philippe Legrain, this is the first comprehensive, international study of how refugees can contribute to advanced economies – calculated from International Monetary Fund (IMF) estimates of the economic impact of asylum seekers and refugees on the European Union. An adviser to Turkish President Recep Tayyip Erdoğan threatened that if the European Parliament votes against lifting the visa requirement for Turkish citizens, his country would send refugees on its territory to the European Union. In various graphs the situation in wealthy EU countries such as Austria, Belgium, Denmark, France, Germany, Italy, Sweden and UK are analysed. “Welcoming refugees is not only a humanitarian and legal obligation: it is an investment that can yield significant economic dividends”, the report says. The IMF estimates that government spending on asylum seekers and refugees in Europe will rise from 0.08% of GDP in 2014 to 0.19% in 2016. The biggest rise is projected to be in Sweden, from 0.3% of GDP to 1%. Germany’s spending is forecast to increase from 0.08% of GDP to 0.35%. The European Commission also proposes to reallocate €1.7 billion ($1.8 billion, or 0.01% of EU GDP) from the EU budget to address the refugee crisis, bringing total spending to €9.2 billion ($9.9 billion, or 0.07% of EU GDP) in 2015–16. The US, Canada and Australia focus their initial investment on resettled refugees, spending around $7,400–$9,100 on each. The EU mostly receives asylum seekers and spends up to €12,000 ($12,960) on each in the first year. Whereas migrants who come to work and start a job as soon as they arrive are immediately net contributors to the economy, refugees are typically a net fiscal cost initially. But so too are people born in that country. So, refugees may become net contributors sooner than locals, the author of the report writes. EXCLUSIVE / Up to €10 billion could be found to help alleviate the refugee crisis by using unspent cash left over from the European Union budget. He further argues that once refugees start working, this investment may yield seven additional dividends. Some refugees do dirty, difficult, (relatively) dangerous and dull jobs that locals spurn, such as cleaning offices and caring for the elderly, which is the fastest area of employment growth in advanced economies. This enables locals to do higher-skilled and better-paid jobs that they prefer. Overall, the US is much more successful than European countries at getting refugees into work, is one of the report’s findings. The IMF calculates that this additional spending on asylum seekers and refugees will boost EU GDP by 0.09% by 2016 and by 0.13% by 2017. By 2017, the largest impact is in Austria, where GDP is estimated to be 0.5% higher, followed by Sweden (0.4%) and Germany (0.3%). Without migration, the number of people of working age in the EU per person of retirement age is projected to fall from 3.5 in 2015 to 2.5 in 2030. The demographic changes in Germany are particularly stark. Without migration, by 2030 the working-age population is projected to shrink by a sixth (8.7 million people), while the old-age population will grow by more than a quarter (4.7 million people) and the overall population will shrink by 5 million people. Germany would then have only two people of working age for every person of retirement age. 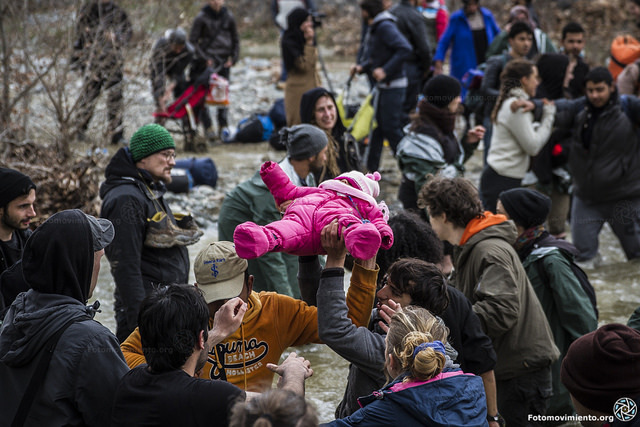 Consequently, policymakers and practitioners are advised to stop considering refugees a “burden” to be shared and emphasise instead that they are an opportunity to be welcomed. With a suitable upfront investment and wise policies, welcoming refugees can yield substantial economic dividends, as the study shows. Those dividends tend to grow over time, as refugees progress in their new home and even more so as their children do. The report recommends that refugees should be resettled in areas where there are jobs, not in areas where cheap housing is available and jobs are not. Governments should vigorously enforce anti-discrimination laws. Making it easier for refugees to find work is yet another reason why countries with rigid labour markets that privilege insiders at the expense of outsiders should open them up. Enabling refugees to start businesses is a further reason why governments should cut through red tape that stifles enterprise. While government assistance for refugees ought to be generous, prompt and wide-ranging initially, open-ended welfare provision can have a negative impact. 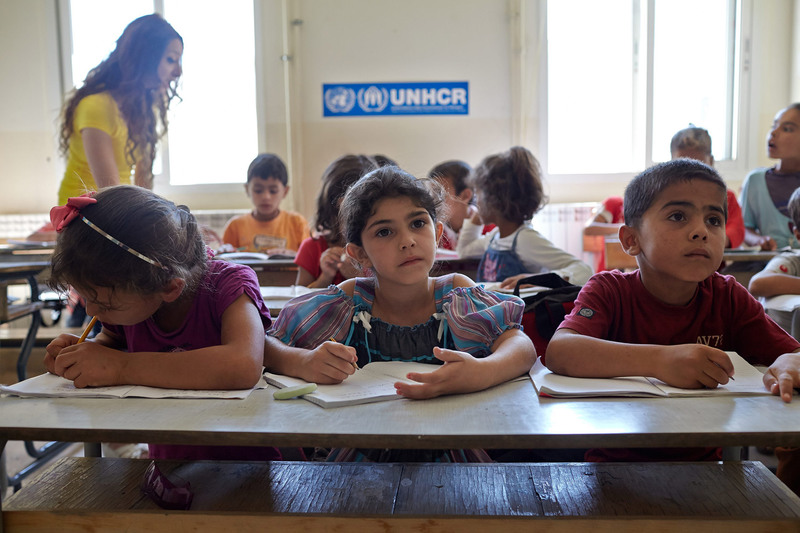 Looking to the future, ensuring refugee children do not get left behind at school is vital. Refugees can also provide a development dividend, notably by sending money to their country of origin, the report notes. This study provides a wealth of evidence on how refugees can contribute to the economy. But there is an urgent need for more research into this, as well as greater policy experimentation to find ways to enhance their contribution. “This is a truly excellent report which should be read by anyone wishing to be informed on the subject, and particularly by policymakers,” said Peter Sutherland, Special Representative of the United Nations Secretary-General for International Migration and Development. The case for refugees is the same as for migrants, they just expand the economy. They need work and housing, services, spend money and earn it, and all that is economic activity. We may not like them for where they come from but economically there’s only benefit.